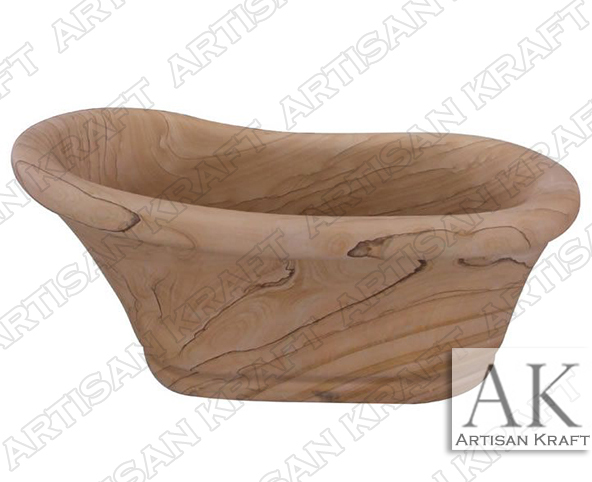 Slipper hand carved natural stone tub made from sandstone. Unique characteristics of old world freestanding stone tubs are unique with each carved design. A rustic look to bring the beauty of nature into your home. The lines make this look like wood rings. Our products are delivered nationwide. Find the what you dreamed of and build it with our help. This freestanding slipper bathtub can also be carved from granite and marble.